The Northern Quarter is increasingly becoming one of Manchester’s shopping and nightlife hot spots. Famed for its quirky and individual character, the Quarter is packed with independent shops, bars and emporiums, selling a variety of unusual and unique products, from retro clothing and rare vinyl to upholstery and amazing art. Afflecks is the hub of all shopping in the Northern Quarter – an eclectic emporium where shoppers can buy vintage clothing, cabaret costumes and bespoke shoes and handbags amongst many other things. If the shopping isn’t enough, visitors to Afflecks can also get tattooed, pierced, massaged or even have their fortunes told! If you’re visiting the city, it’s definitely worth a trip – even if it is just to people watch, whilst enjoying one of the Cocoa Emporium’s homemade cakes or chocolates! 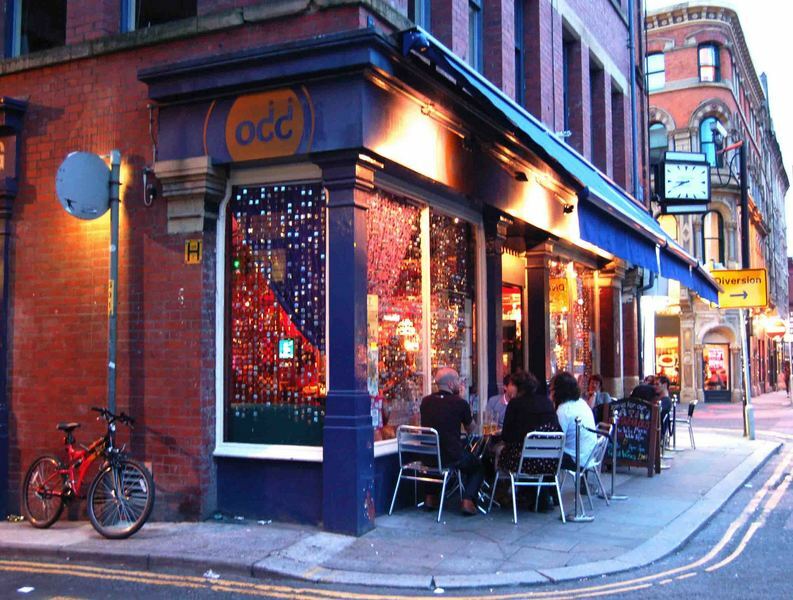 The Northern Quarter is also home to some of the best independent bars and traditional pubs the city has to offer. A bar that embodies the eclectic nature of the quarter is the fittingly named ‘Odd Bar’. As a bohemian bar, crowned ‘Best bar in Manchester’ at the 2007-08 Pride Awards, Odd encourages its visitors to try one of its many foreign beers, enjoy a monthly art exhibition, listen to live music and watch a black & white classics in its giant downstairs cinema room – all for free! Another attention grabbing bar is the Hula Tiki Lounge, boasting over 100 different types of imported rum. Located in a basement, the 50’s inspired beach bar transports you to the island tropics with fish tanks full of tropical fish and sand and palm tree inspired wallpaper. With a capacity of just 200 people, it really feels like you are cozying up with a bunch of strangers in your own rum soaked beach hut! There’s always something new to buy, taste, drink, see or hear at the Northern Quarter – it’s definitely an unmissable feast for the senses!